Do you believe in Astrology? Do you believe in Daily/Weekly Horoscopes/Predictions ? No, I ain’t gonna start an Anti- Astrology debate or whatsoever for now (or am I?? Who Knows?? I can’t foresee future). It’s just that my Daily forecast for today says that I am gonna outsmart myself today with some great writings …Me ?? Forget great one, on the contrary, from past few days I am facing the most dreaded situation for a blogger….. A Blogger’s (writer’s) Block ! Sometimes you wish to believe those predictions that sound positive or beneficial for you, like one day there was a prediction for my sunsign that I will gain tremendous support from my mate, and do I need to tell you what happened bang on that day?? Yeah you guessed it right…we fought over silliest of issues. A prediction said that I will enjoy a very sound health on a particular day, and poor me, my day started with terribly Low blood pressure, Headache and sore throat, all at one time . 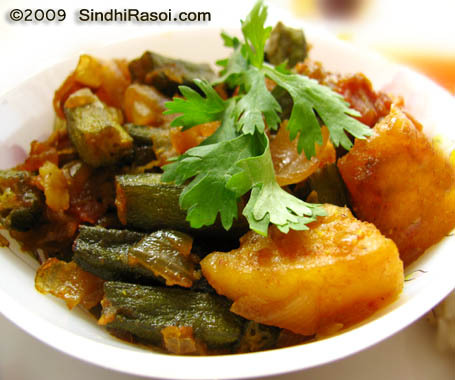 Easy recipe of Okra and potato in onion base. Love your blogs. You make simple or ordinary topic so interesting. Horoscope – how can one prediction apply to millions…… na na. I am not a believer but yes I do a little of coffee/tea leaves reading which I learnt in Iran and which my friends think is pretty accurate. 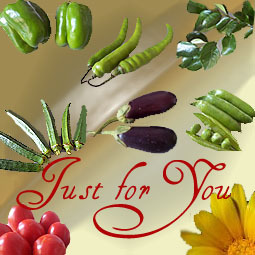 I always wanted my bhindi and allu to turn out like my neighbour Gopidadi’s but it never did. It would go all mushy on me. I did not know that the main ingredients had o be fried separetely. Now I know so am going to try it again, but your way. Used to be a decade ago I used to read astrology and predictions/horoscope. But not anymore. I somehow cannot believe that one prediction will apply for millions of people around the world sharing the same sun sign. I would rather live blissfully in the ignorance. Adding potatoes to okra is new to me. Looks very pretty. Lovely sabji… though the last time I ate aloo bhindi was in the office dabba… and I hated it. 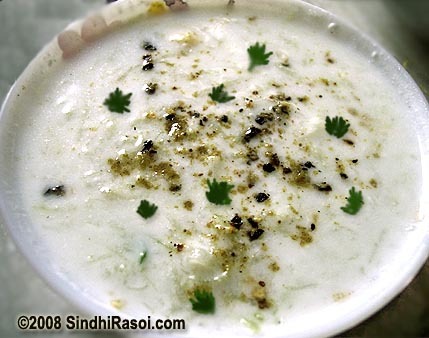 hot rabri? have you posted the recipe? if not, please do. Whoa! I was able to relate to ur story so much.I remember while at college,i used to read the newspaper everyday to check for my horoscope and lucky color,the stupidest bit was i used to wear clothes based on the lucky color mentioned….huh now i can jes laugh over it.Most of the times the predictions was false….so decided not to go with it.But there is this website which i check religiously every month,i wait until the 1st till the months prediction is up…this is by Susan Miller – http://www.astrologyzone.com.To me till date the predictions have been pretty perfect…atleast 80-85% true.You may want to check this:-). Coming to the recipe…u r truly innovative and each and every recipe of urs is jes so perfect:).Loved it! What a great presentation. I can imagine your son’s face seeing his lunch platter. How I wish some one does this for me. As for horoscopes, i never bother to read these columns. Like the way you write. Interesting and debating subject!!! Horoscope! sometimes horrifying, but sometimes, really helping, if we dont take it more seriousely. 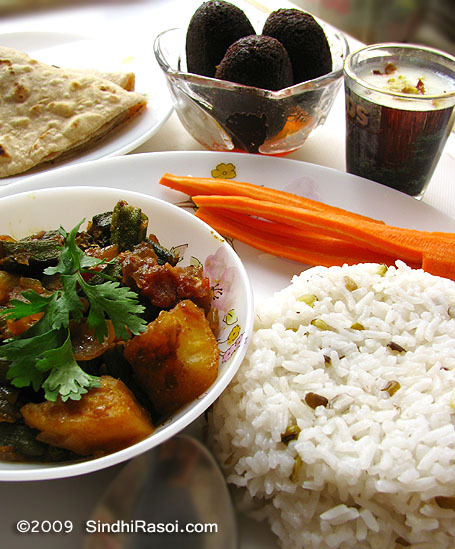 For recipe, I love Aloo and with bhindi, its feast. Thanks. 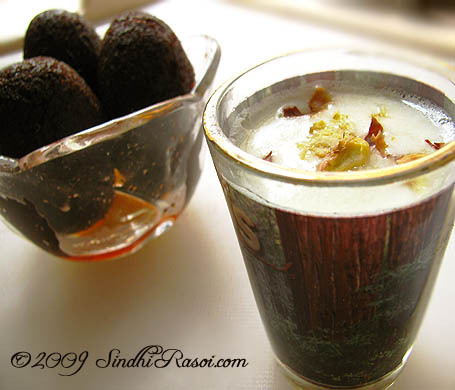 A nice recipe with a grt picture , really Alka i really love the way u start ur story and the way u end it. I believe in astrology but to a certain extent. Becoz i know nobody can take away my destiny , whatever GOD has store for me. So just work hard . wow thats a lovely dish and perfectly made too!!! breath taking jamuns there!!! 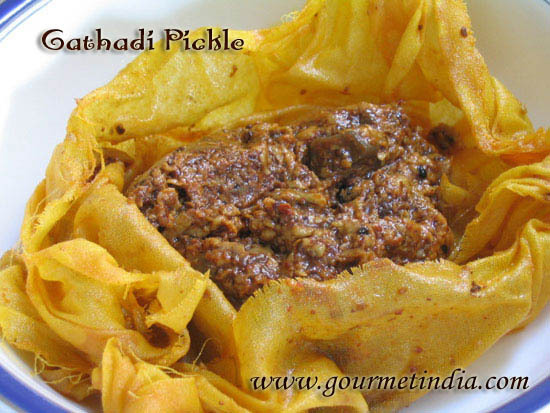 Me loves this bhindi style, although it does not make it to the table very often for some reason. Actually, I’m not very impressed with the okras u get here, they’re huge and not tender at all. Sweet presentation- glad your little guy was smiling! I don’t believe in horoscopes at all Alka. I do believe that there is some science behind it but who’s to know which dude wrote this stuff you read today! I’m sure there are some genuine astrologists out there but till I can make out the difference, its not worth the time to even read them! This is nice, looks tasty, I will bookmark! what a meal! :-) my daughter loves bhindi and potatoes and I usually make this dish but avoid onions becoz she ‘hates’ onions:D Love your pics..
That spread is FAR from boring! LOL how i wish someone actually did that for me. The subzi looks & sounds awesome. Your food makes me salivate. Writer’s block or not, you certainly make up for it in creativity. I couldn’t have turned bhindi into such an interesting feast. Hmm thats quite interesting,it is really fun to read that column…..sometimes it ll be true n sometimes it is not..
Okra with potatoes seems like a great combo..yummy..I loved the kala jamuns pic..
LOL Alka, I read astrology for the fun of it, sometimes you can twist what they say to suit what happens on that day but most times it is just plain wrong. Have never tried okra with potatoes and this sounds really tasty. The three English merchants have recorded that their queen Elizabeth 1 was just the Queen of an island and the subcontinent must be enslaved for the riches it has. They came because they didn’t have spices to keep the meat from going rancid in England, or so they said.